I’ve been a fan of the Heller novels for many years now. Mr. Collins is now getting into territory I lived in. I remember the Kennedy assassination, seeing Ruby shoot Oswald on live TV, and a couple of years later the Beatles arriving on our shores. 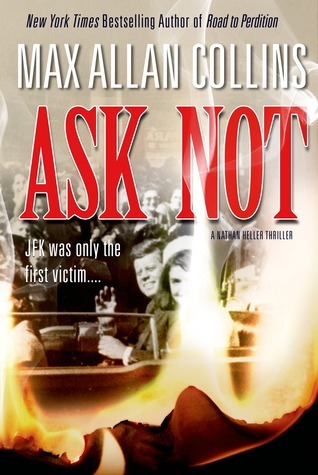 ASK NOT concludes the author’s JFK trilogy and begins with Heller and his son, Sam, nearly getting run down coming out of a Beatles concert. Heller is working for them and arranges a meet(I’m the same age as Sam at that time and would have loved to be in his place). Heller recognizes the near hit-and-run driver as one of two Cubans he’d nabbed a couple of years before in Chicago in an aborted assassination of the President. It starts him on a path to stop whatever’s going on. Threats to himself he can deal with, but family is a different matter. 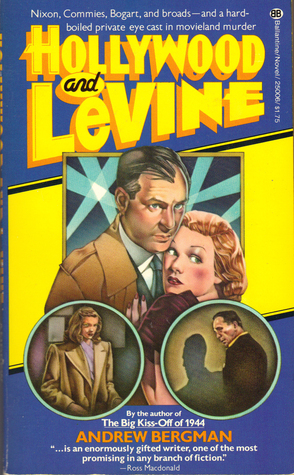 As always, Collins and his researcher George Hagenauer do a massive amount of research and weave his fictional detective Heller in with real people of the day to develop the story. He stays close to the truth, using his own speculations and those of others, to give us a coherent tale while admitting a few changes for dramatic purposes. He has more plans for Heller, though originally the JFK trilogy was to wrap it all up. Glad to hear that. There are two threads running through this story. 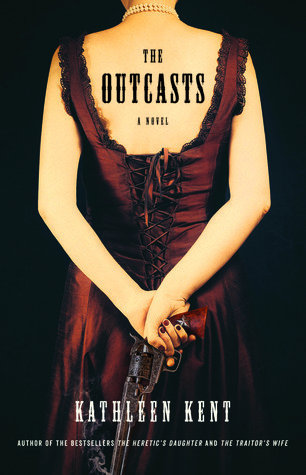 In one, Lucinda Carter escapes from Mrs. Landry’s brothel. The girls can leave any time they want, but are searched and any money they managed to save up is confiscated for business expenses. But Lucinda not only escapes with her savings, but goes the madam one better. She’d discovered the woman’s secret stash and looted it, slipping out in the night with a homemade key, from a pressing in soap, and is hours gone before anyone knows any different. The second thread is Nate Cannon, a young farmer who’d joined the Texas State Police to save money for his real love: raising horses. He was just a so-so farmer and wanted to provide for his wife and daughter. 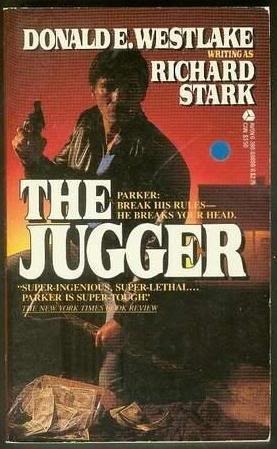 He’s accompanying two Texas Rangers in pursuit of a vicious killer named McGill, who’d murdered, men, women, and children. Lucinda is headed to Middle Bayou, in Southeastern Texas to meet her lover in search of a buried pirate treasure. 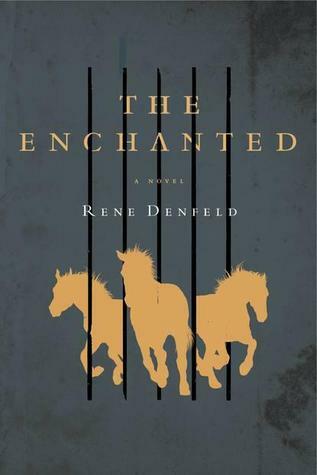 In their investigations, Cannon and the Rangers discover in an interview with one survivor, the mother of two slaughtered children and a husband, mention is made of McGill speaking of LaFitte’s treasure. Author Kathleen Kent moves the story along in alternating chapters until things come together, managing to slip in a few twists along the way. 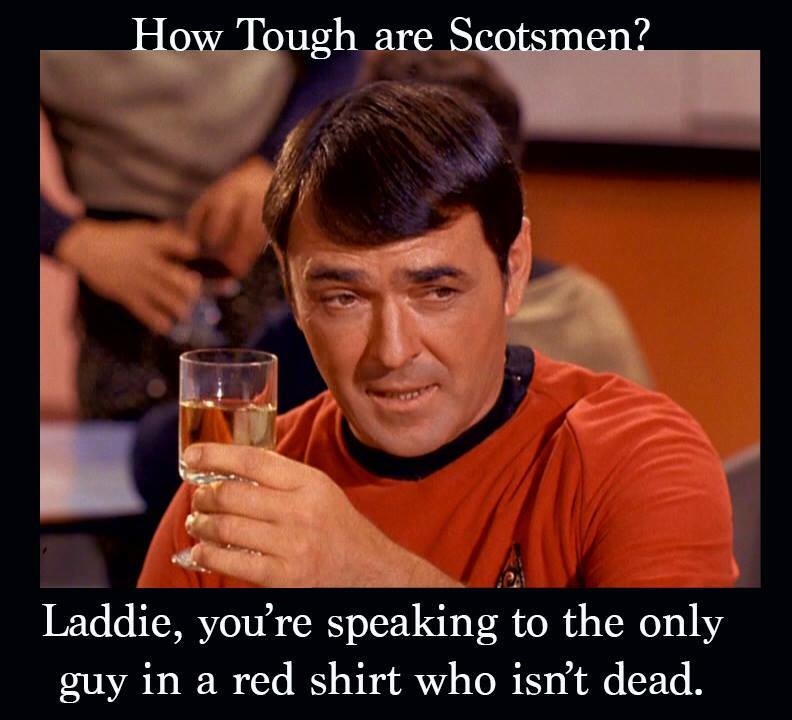 Quite enjoyed this one. Available HERE. 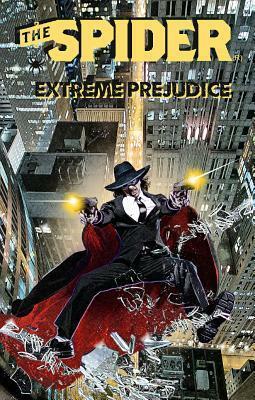 1: The Spider: Extreme Prejudice: a new collection of original stories from the folks at Moonstone Books. 2: Ask Not – Max Allan Collins: the latest Nathan Heller from a favorite writer. It’s 1964 and Heller is in the middle of mob stuff again. Part fact, mostly fiction. All good. 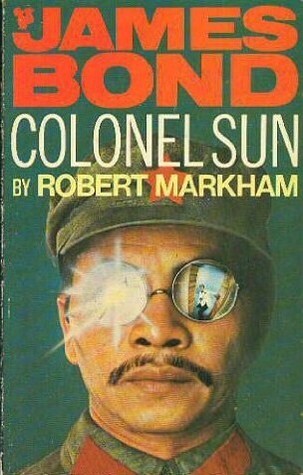 4: Colonel Sun – Robert Markham: the U.K. edition of the first Bond novel written by anyone other than Ian Fleming. 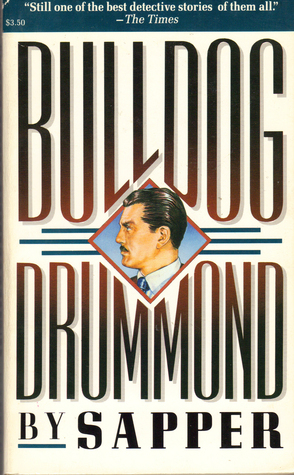 Kingsley Amis is the man behind the pseudonym and this one was originally published shortly after Fleming’s death and follows closely behind The Man With The Golden Gun, itself released after the author’s death. 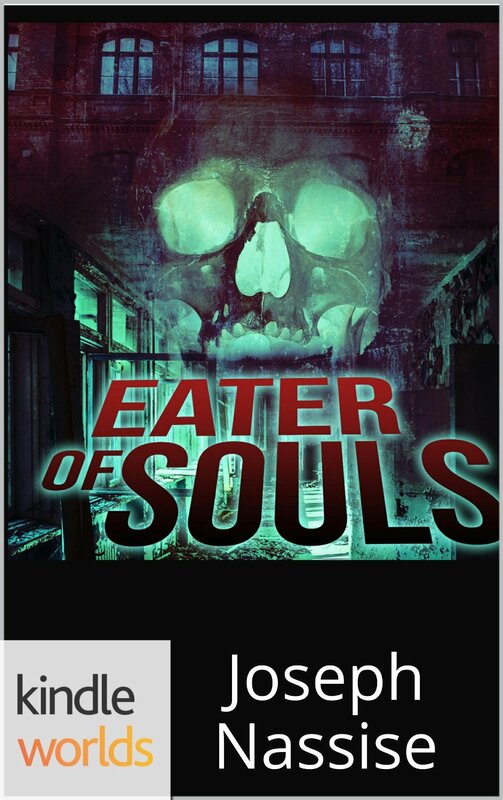 5: Eater of Souls – Joseph Nassise: a Dead Man tale, the first release in the Kindle Worlds program where anyone can write and sell their own Dead Man story. Of course there are rules. 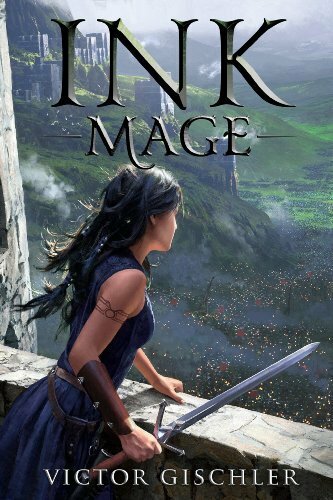 6: Ink Mage – Victor Gischler: the author takes his hand to fantasy in this first part of his serial novel. One price and each part is added automatically as it comes out. Book publication will follow after that. 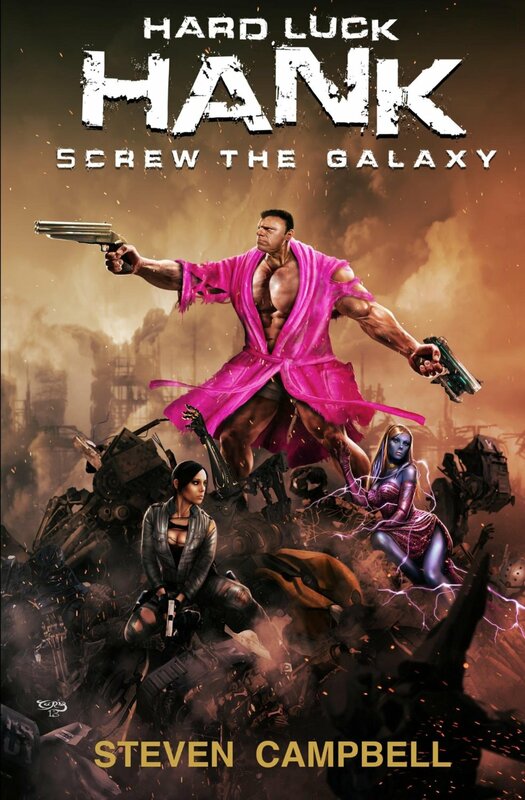 7: The Alpha Choice(review copy) – M. D. Hall: volume one of the SF Te’an Trilogy. 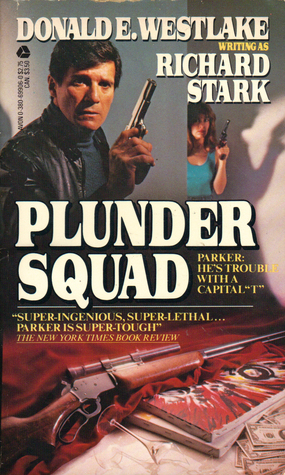 8: Hard Luck Hank: Screw The Galaxy(review copy) – Steven Campbell: an SF novel. 9: Wolf Creek: Night of the Assassins – Ford Fargo: the latest shared world western from the Western Fictioneers. 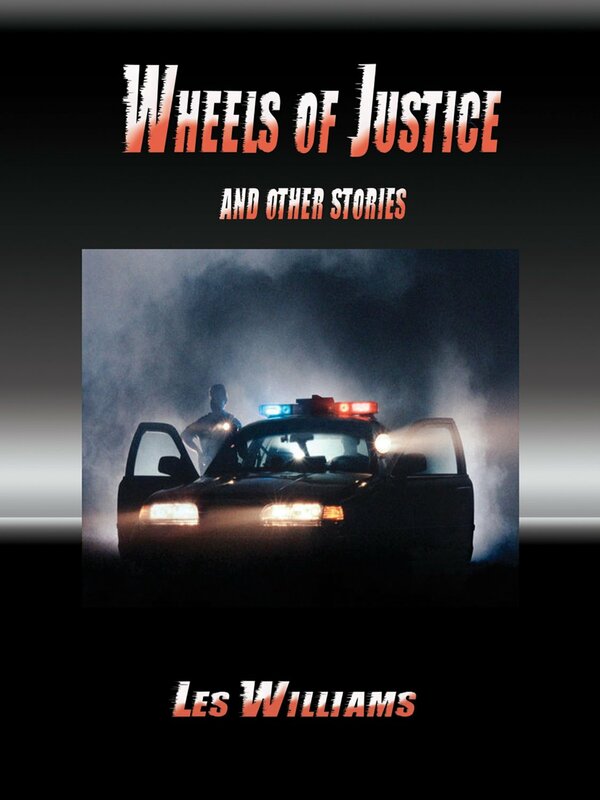 10: Wheels of Justice and Other Stories – Les Williams: offered free, it will get a review when it’s turn rolls up. 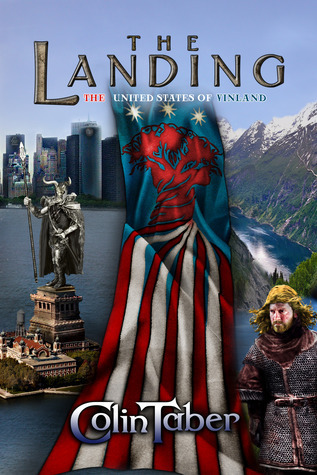 11: The Landing – Colin Tabor: an alternate universe novel where the Vikings settled America first. 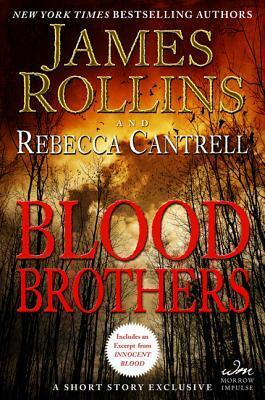 12: Blood Brothers – James Rollins & Rebecca Cantrell: a standlone short story that leads into the two authors’ next Order of the Sanguines novel. 3: The Outfit – Richard Stark: I have a complete set of the recent reprint series by The University of Chicago Press, including the Grofelds, but only a few of them in mass market paperback. 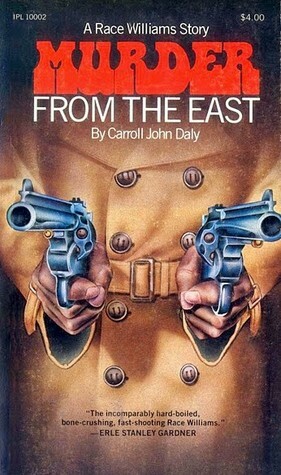 4: Murder From the east – Carroll John Daly: a race Williams novel. 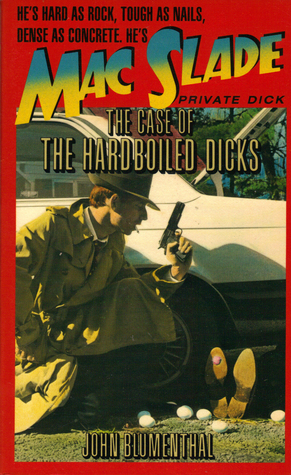 5: Mac Slade and the Hardboiled Dicks – John Blumenthal: An old style P.I. 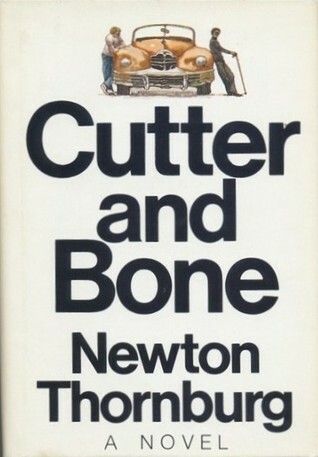 7: Cutter and Bone – Newton Thornburg: The killer Bone sots getting rid of a body one night turns out to be a rich executive and the two friends pursue him across country to his stronghold. 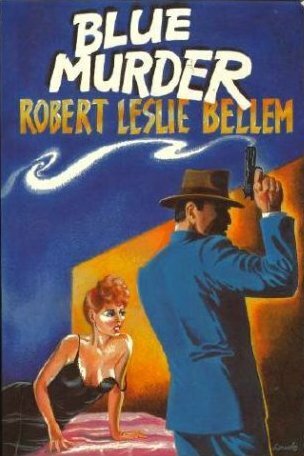 8: Blue Murder – Robert Leslie Bellem: a Dan Turner tale. 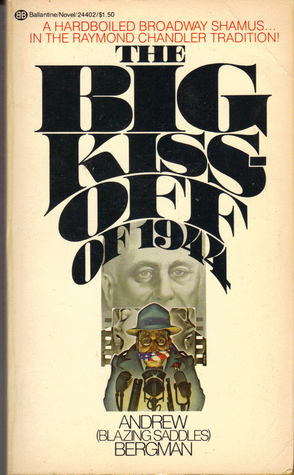 10: The Big Kiss-Off of 1944 – Andrew Bergman: a couple of Broadway shamus Jack Levine novels. 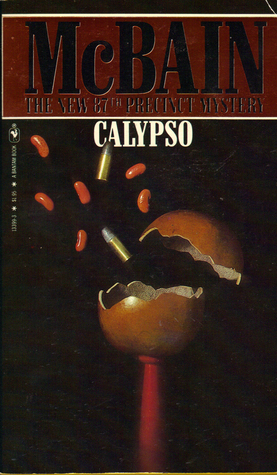 11: Calypso – Ed McBain: an 87th Precinct novel. I now have, or have read, all of them. 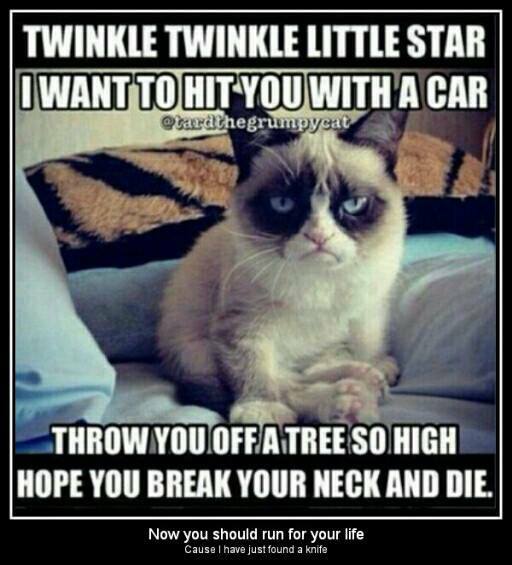 Today’s Humor: Grumpy Cat Speaks! Terence Hill is conman Joe Thanks, the genius of the title. The two partners are Steam Engine Bill(Robert Charlebois) and Lucy(Miou-Miou) and the dupe is Major Cabot(Patrick McGoohan). The plot of this one is simple. Con the Major out of three hundred thousand dollars and restore to the Indians their hunting ground by a treaty. 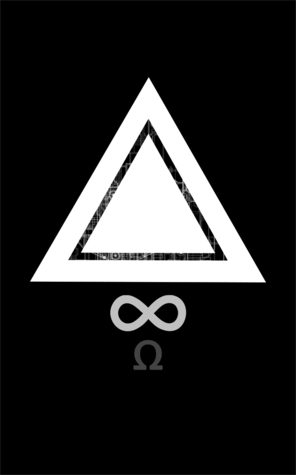 Thanks comes by his genius by his adaptability to any situation. It doesn’t matter what goes wrong, he manages to work it into the con. 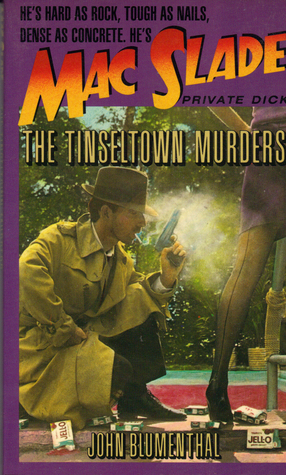 Steam Engine and Lili work their own cons and Joe hunts them down for this latest one. They’ve worked together in the past. Steam Engine is a half breed, but continually denies his Indian half. Both men are sweet on Lili and she plays on that sometimes, but Steam Engine is ultimately the winner on that front. Part of the plot involves an outlaw named Jelly Roll(Pietro Vida) and one is never quite sure which side he’s on, such is the elaborate plot Joe has laid out. 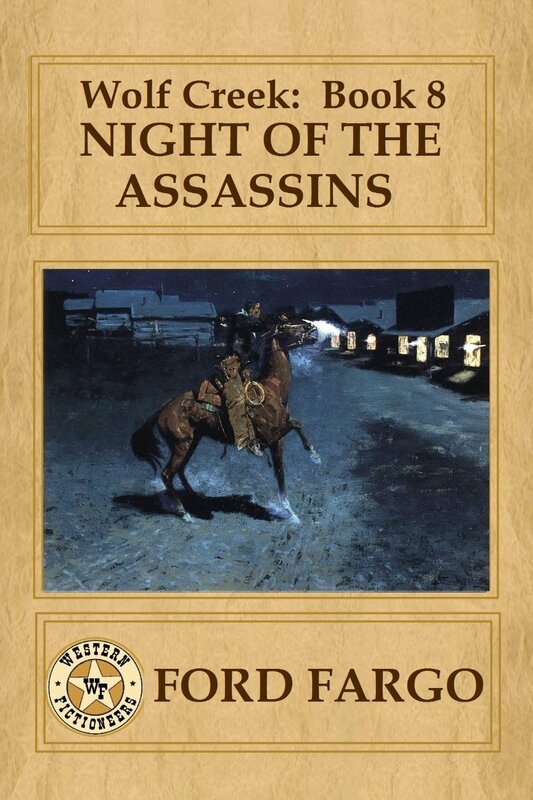 It all boils down to a running battle between Joe and Steam Engine, and I mean running on foot, over the cash to a huge explosion with a railroad blasting a hole through a mountain that the two men run right into, to Major Cabot seing his money go up in smoke after he’d already signed a treaty giving the hunting grounds over to the Indians. Klaus Kinski was in the early part of the film as gunman/poker player Doc Foster that Joe embarrasses to raise a few dollars, then disappears completely. I thought that was a waste of talent. 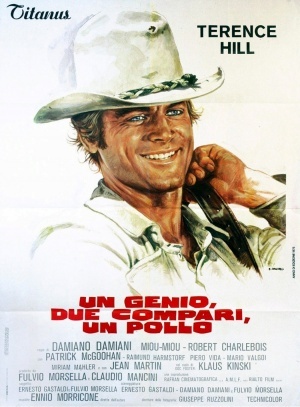 The plot was developed by Sergio Leone and he, in fact, directed the opening scene of the movie. But he was ultimately unsatisfied with the result and had his name removed from the credits. 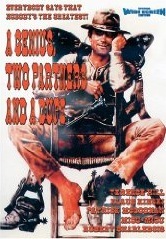 It was the last western he ever worked on. 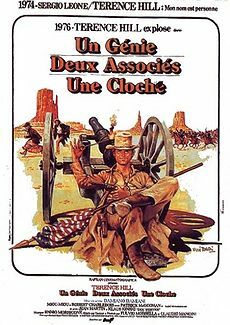 Ennio Morricone wrote and directed the music for the film, utilizing bits from My Name is Nobody and siliar strains from the Good, The Bad, and The Ugly, not to mention a classical adaptation, and even a bit from the William Tell Overture. 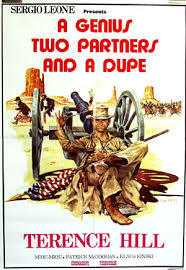 It was quite well received even if the western/comedy didn’t do well in the States. Quite popular in Europe though. I didn’t think it was a bad movie, a little better than average. 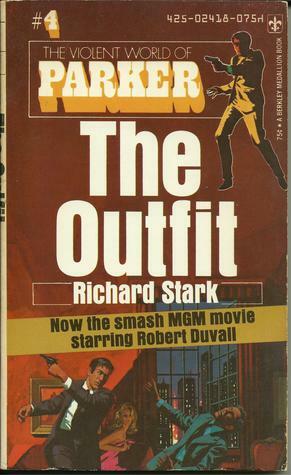 I’ve read THE OUTFIT before, but did a reread because I covered the Robert Duvall film this Tuesday past. I also had this film edition of the book picked up from Barry Eregang. The film producers stuck pretty close to the story here with only minor variations. Parker had gotten a face lift to disguise himself from the Outfit. Word was out now, though they didn’t know what he looked like. When someone fingers him and a hit man is sent, he decides it’s time to do something about it. The Outfit is still trying to kill Parker and that must be stopped. He sets out to make them pay, getting information from the assassin. He heads north from Florida, visiting people along the way he’d worked with in the past. He also wrote letters to others to far off the route. He asked all if they had plans to hit outfit(they all idly thought about such jobs). As a professional courtesy, they usually left such hits alone. But the Outfit, Bronson in particular, was starting to get annoying. They needed to be taught a lesson about other pros and what they could do. Before it was over, a million had been taken. Then Parker went after Bronson. For more Forgotten Books, drop in on Patti Abbott on Fridays.